J.R.R. Tolkien, C.S. 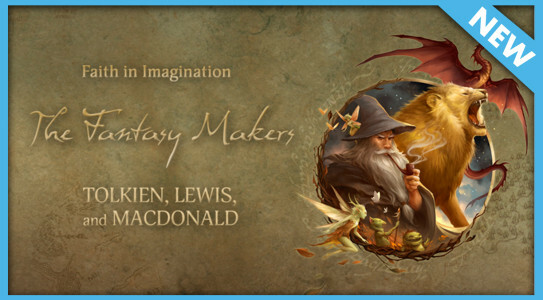 Lewis, and George MacDonald were the pioneers of the fantasy genre and their impact is unmistakable. Their works— exploring Middle-earth, Narnia, and other tales of redemption, sacrifice, and the battle of good and evil—have become best-selling books and blockbuster movies. Contemporary fantasy writers such as J.K. Rowling grew up inspired by their works. All three were deeply committed Christians, and their spiritual convictions permeate their writing. They engaged and challenged from the pulpit of imagination, speaking truth through fantasy.